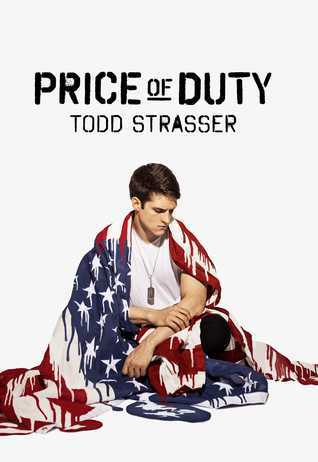 We're thrilled to have Todd Strasser stop by to share more about his latest novel, PRICE OF DUTY. Todd, what was your inspiration for writing PRICE OF DUTY? As a teenager in the 1960s I was deeply moved by the anti-Vietnam War movement, and by many of the anti-war folk songs of the time. Certainly, by Dylan’s Masters of War (“You hide in your mansion while young people's blood flows out of their bodies and is buried in the mud.”) And Phil Och’s I Ain’t Marchin’ Anymore (“It's always the old to lead us to the war. 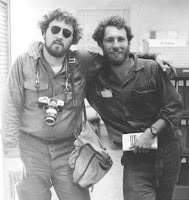 It's always the young to fall.”) The idea of writing about young people and the military was probably spawned close to a decade ago, but for many years I couldn’t find the storyline. Finally, about four years ago, I was doing a Skype about my book, The Wave, with a class from Mississippi, and I noticed that five or six of the students were wearing uniforms that looked somewhat military in nature. I asked them why and they told me they were members of the school’s JROTC unit. No sooner did the Skype end than I finally had the storyline I’d been searching for. It’s said that the author’s purpose is to persuade, to inform, and to entertain (PIE). But I believe there is a fourth purpose as well – that is for the writer to learn about, and explore, his or her own feelings about a topic. Often when I begin a book, I’m not entirely sure what my ultimate point or message will be. For me, revisions don’t just hone the writing, but sharpen the focus and thrust of the story as well. Among the many things I learned while writing this book was about the enormous number of civilian deaths that have accompanied modern wars. It is a fact that since the First World War, far more civilians have died than soldiers. And even while this makes me feel more opposed to war than ever, through creating this book I also came to realize that we must have a military and we must be prepared to go to war. Writing is the default activity of my life. I’ve been doing it for more than 50 years. I’ve never had to make myself write. Instead, I have to make myself find other things to do so that I don’t wind up writing all the time. To that end, I read, play tennis, surf, and play the guitar badly. I’ve never been much of a TV watcher, but recently I discovered some shows that are beautifully written. My current favorite is The Wire. It turns out that a number of very accomplished crime novelists – Dennis Lehane, George Pelecanos, Richard Price, among them – have written for that show. So I guess I shouldn’t be surprised that it’s so good. Finally, one aspect of “my ritual” that does surprise me is what my brain does while the rest of me is asleep. We’ve all heard authors say that creating a novel is like putting together a puzzle. I often wake in the middle of the night to the realization that another piece has been put in place while I slept. In 1990, Todd moved with his family to Westchester County, N.Y. He is the author of more than 140 books for teens and middle graders including the best-selling Help! I’m Trapped In series, and numerous award-winning YA novels including The Wave, Give A Boy A Gun, The Accident, Can’t Get There From Here, Boot Camp, If I Grow Up and Fallout. Several of his books have been adapted for television and his novels The Wave and How I Created My Perfect Prom Date became feature films. His books have been translated into more than a dozen languages, and he has also written for television, newspapers such as The New York Times, and magazines such as The New Yorker and Esquire. Have you had a chance to read THE PRICE OF DUTY yet? Does writing help you learn, explore, and figure out your feelings on a topic? Is writing the default activity in your life? Share your thoughts about the interview in the comments!